Combine 1 1/2 cups sugar, salt, and 1 1/2 cups water in a heavy saucepan. Bring to a boil. In a small bowl, mix cornstarch and 1/3 cup water to make it smooth. Gradually whisk into boiling sugar mixture. Boil mixture until thick and clear, stirring constantly. Remove from heat. Whisk together egg yolks and lemon juice in a bowl and then gradually whisk egg yolk mixture into hot sugar mixture. Return pan to heat and bring to a boil, stirring constantly. Remove from heat and stir in grated lemon rind and butter or margarine. Place mixture in refrigerator and cool until just lukewarm. In a large glass or metal bowl, combine egg whites and salt and then whip until foamy. Gradually add 1/2 cup sugar while continuing to whip. Beat until whites form stiff peaks. 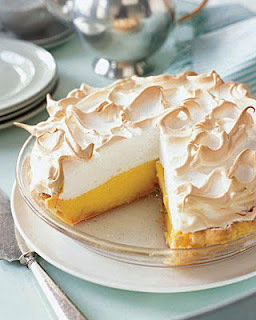 Stir about 3/4 cup of meringue into lukewarm filling. 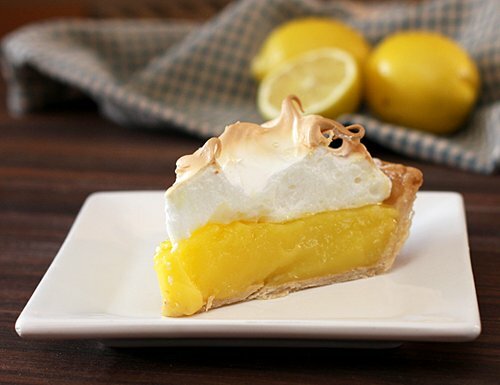 Spoon filling into baked pastry shell. 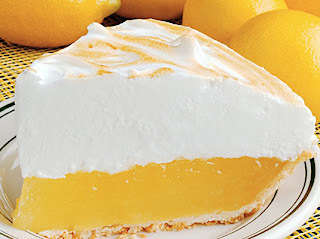 Cover lemon meringue pie with remaining meringue. Bake in preheated oven for 12-15 minutes, until meringue is slightly brown. Cool on a rack at for at least 1 hour before cutting and serving.